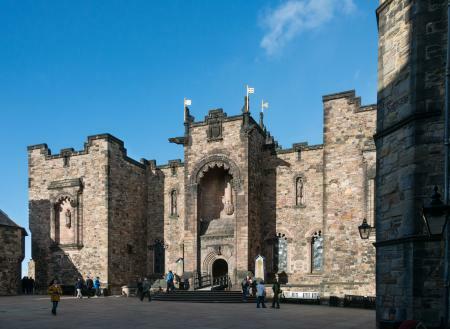 No visit to Scotland’s capital city is complete without a tour of Edinburgh Castle. Lucy Dimbylow visited with her children Katie, six, and Tom, 12. Standing proud above the city of Edinburgh at the top of the famous Royal Mile, Edinburgh Castle’s history dates back to Iron Age times, when a fort was first built on the hill. Since then, it’s been home to royalty, the site of many bloody battles, and the dwelling place of prisoners of war. 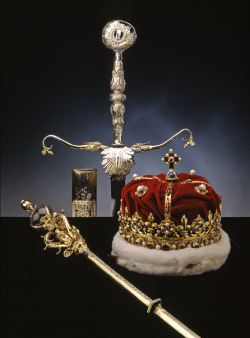 Today, it’s still an active military base and also houses the Scottish crown jewels. It’s a fascinatingly diverse place to visit, taking in the famous Half Moon Battery, the prisons of war, the Scottish National War Memorial, St Margaret’s Chapel – the oldest building in Edinburgh – and much more. Edinburgh Castle is a great place for small people to discover. Although the history may go over their heads, they can clamber on the historic cannons, peer over the battlements at the city below, throw pennies into the well and marvel at the crown jewels. Kids who have a bloodthirsty streak will relish learning about the many battles that have taken place in and around the castle. 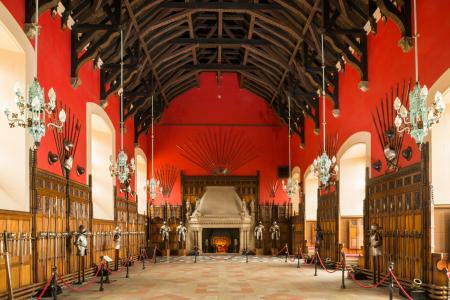 The Great Hall, lined with swords and suits of armour, is a particular highlight, and the child-friendly crown jewels exhibit is a must-see, too. Make sure you pick up a copy of the Explorers’ Quiz: a family fact-finding trail that’ll encourage your child to use their powers of observation and discovery. We joined one of the free guided tours, which gave us lots of background information and fascinating facts about the castle and its history. Some tours are pitched too high for primary school kids, but this had plenty of trivia and humour to keep our children entertained. Our family’s favourite exhibits were the prisons of war and the One o’clock Gun exhibition, both of which really brought history to life for our children. The One o’clock Gun, which was originally fired every day to help ships in the Firth of Forth set their shipping clocks, and is still fired daily at 1pm: a real spectacle that attracts big crowds and will give kids a thrill. The castle holds occasional re-enactments and talks that are great for families, such as a prisoner of war talk from one of the ‘inmates,’ and Meet the Barbersurgeon: a gruesome glimpse into 16th-century medicine. Festive activities include traditional tales and crafts, where children can learn about the history of Christmas crackers, Christmas cards, and more. Enjoy a hearty bowl of soup or slice of cake at the Redcoat Café, or a traditional afternoon tea in the Tea Rooms. There’s plenty of space to picnic in the grounds, and don’t forget to pop into the Whisky and Finest Food Shop to sample Scottish specialities. The Castle is within walking distance of Waverley Station. Public and open top tour buses stop nearby. 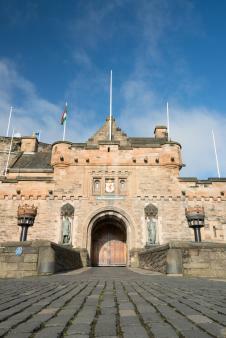 Parking is available at the NCP Edinburgh Castle Terrace at reduced rates for Castle visitors. Edinburgh Castle is open from 9.30am-5pm in winter and 6pm in summer. Adults £17, children (five to 15 years) £10.20, under-fives free. There’s plenty for children to spend their pennies on, including stationery, postcards and souvenirs. We loved the cannon clay model kit (£4.50) and princess and knight plastic figurines (around £6-£8). 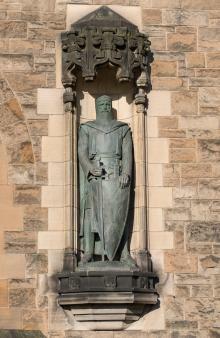 Check out the interactive timeline that takes you through the Castle’s history from the Bronze Age to the present day. There are also lots of video clips to watch online in the Discover section of the website, including the One o’clock Gun, the Great Hall and the prisons of war. The lives of significant individuals in the past (e.g. Mary Queen of Scots, Oliver Cromwell).